When purchasing lumber, make sure to get the right pieces for the job. As you plan any home improvement projects this spring and summer it’s important to remember that not all wood is created equal. Before you pick up the items for your project make sure that you’re making the best choice for your budget and needs. To help make your trip to the lumber yard easier, here are five tips for choosing wood. These two terms are often deceiving, as they have less to do with a piece of woods hardness level and everything to do with the type of wood they’re derived from. Softwoods come from evergreen trees while hardwoods come from deciduous trees. Within the two categories, there are grades that establish the number of defect present within each board. Depending on the way in which the board was sawn the appearance and behavior of the wood may change. 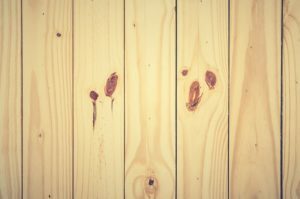 For example, wood cut in the plain sawn method will create the least amount of excess waste but the boards are more prone to twisting and cupping. Quarter sawing will result in fewer boards, but it is much sturdier. Rift sawn wood is the strongest, but because of its complicated nature, it costs much more to produce. Lumber that has been pressure treated will have a chemical seal that protects it from bugs, decay, mildew, and fungi. If you live in an area with high humidity this type of lumber can help keep your deck in its best shape. However, this type of lumber is still susceptible to swelling, warping and water retention. Potentially the most important thing for you to know when buying lumber is how to spot defective pieces. There are five main types of defects which include: naturally and man-made imperfections, conversion, fungus, insects, abnormal tree growth, and improper seasoning or dying. All of these imperfections can lead to issues that you’ll want to avoid. For help building the perfect deck come visit our stores! Our Millersville and Edgewater locations are both open Monday-Friday from 6:30 AM to 4:30 PM, as well as Saturday from 8 AM to 1 PM. This is the best way to get an idea of what the products look like before you order them! This entry was posted on Friday, April 13th, 2018 at 12:30 pm. Both comments and pings are currently closed.